This house has been a hive of activity since returning from Wales. Apart from running around three small girls and sightseeing till we’ve almost dropped, the Secret Seven have been most productive at home. My hubby and brother have trimmed the hedge; got rid of a fox mess; bought seafood at Billingsgate Market; gutted and cooked prawns, scallops and squid and made a delicious paella. They have bought a brew kit and begun brewing; put up a wooden parasol on the terrace and accomplished various other household tasks. 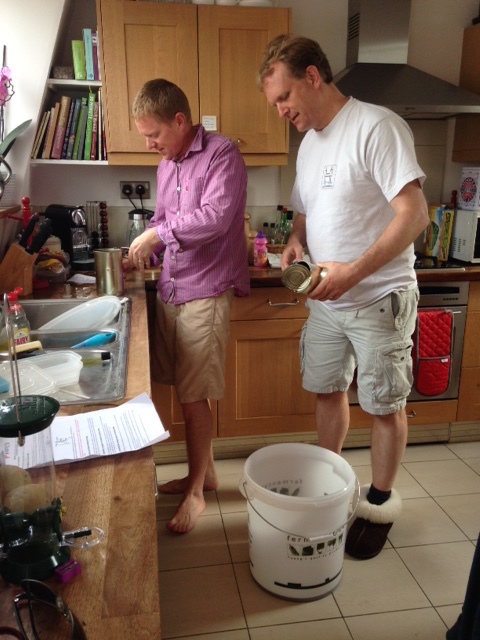 Even now we have sent them on a DIY mission which should keep them out of mischief for hours. My sister-in-law and I have done some baking, cooking, cleaning, shopping and infinite loads of washing and drying. And not to be outdone, in their own mysterious fashion, our seeded terrace pots have not wasted the sunshine:- carrots, tomatoes, radishes and now lemons have almost grown in front of our eyes so that every time we turn our backs they are bigger – like something captured on a time lapse camera with only familiar tomes of David Attenborough missing from the picture. Then all of a sudden, for some precious, delightful hours yesterday it all stopped (except perhaps for the plants) and finally the rain came down. Having had only about 100ml of rain since February, London has been sweltering in a dusty, brown, thirsty trans for months. 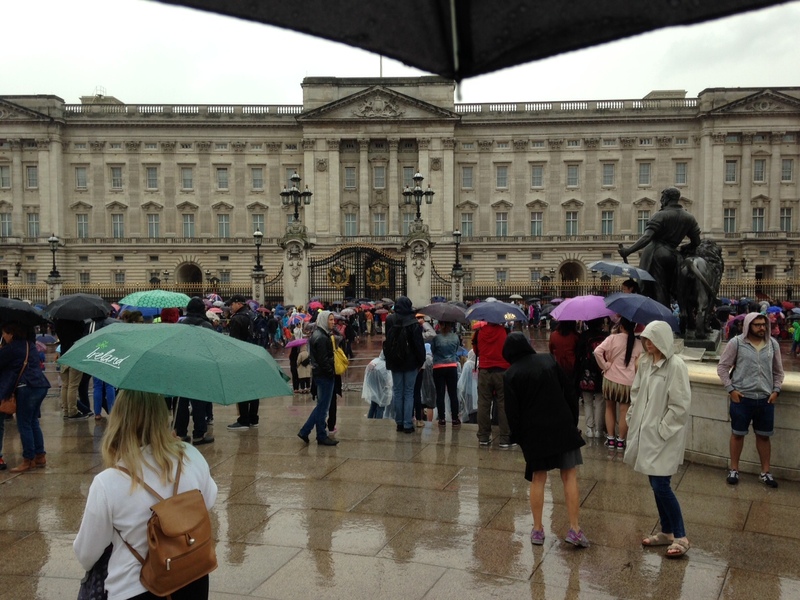 It literally put a damper on our attempt to see the changing of the guard at Buckingham Palace which was subsequently cancelled – but not until we’d spent some time uncomfortably pinned against the wrought-iron gates with dripping umbrellas and crowds vying for a peek at the action (non-action in this case). In defiance, the girls and I went to see Pixar’s latest, Inside Out. It is not in my nature to leave a story without taking a lesson from it so in this, the new Pixar animated adventure … like the ‘tussle followed by an unlikely friendship’ storyline between Sadness and Joy, we have learnt a lesson about sun and rain. Sopping and spent, we returned home and were forced to retreat to quieter pursuits. I love the rain. I love the slight darkness that comes with it, the socks I put on my feet, the drips and tinkles on the windows, the book that gets more attention at last, the quiet and calm that settles on the house full of people and of course the whistle of the kettle that heralds a cup of hot tea. For a change we have slumbered peacefully today in somewhat quieter productivity. It is the calm after the storm.